What do you do when you reach a cross roads and your road map for life is missing its second page? How do you successfully raise the curtain to the second act? Despite what your Facebook friends have you believe by daily postings of wonderfully clever sayings depicted on colourful posters, life does not come with signage. This blog is Judy’s quest to find the signage that leads through the mysteries of midlife. Judy is like a good roast, well seasoned on the outside, but tender on the inside. Judy’s motto is that life is always better when one’s creative muscle gets a regular and thoroughly humorous workout. OK, let’s ditch the webspeak like someone else is describing me and switch to the more natural first person. I have always been suspicious of a person who refers to themselves in conversation in the third person and besides this is not a business blog. But as we need to draw back curtains before we can let sunshine into sheltered spaces, we may have to move some of the barriers against happiness that we keep in our own minds. 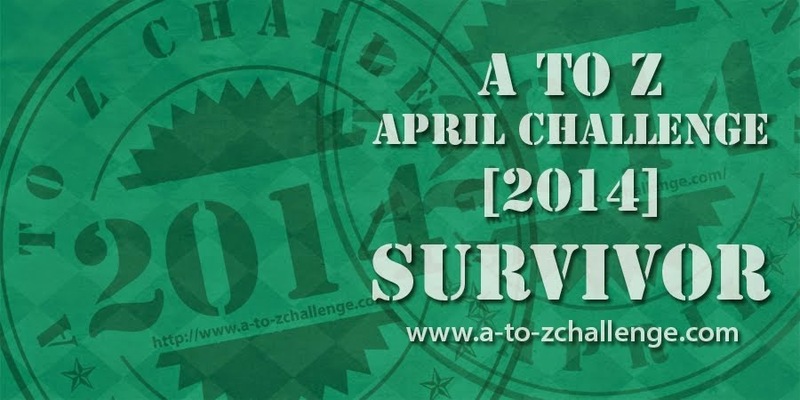 In April 2012, I undertook the A to Z April Blogging Challenge. It was a journey lasting thirty days and twenty six posts. Looking back on those posts it seems I revealed a fair bit about myself along the way. Now, I would love nothing more than for you to read all twenty six posts, but because you’re smart and stumbled on this page, I present to you the executive summary of me through my Challenge posts. I’m an Aussie and live in the land of the perpetual BBQ and am constantly throwing shrimp (prawn) at it. I don’t do Bikram Yoga, but admire anyone who does. I have two teenage sons and a husband, the Italian Stallion, all of whom provide great blog fodder. Passionate about equality for the disabled and issues relating to this topic, although not disabled myself. Have fantasies about breeches and Mr Darcy, several Mr Darcys in fact! Love baseball and especially the Boston Red Sox. Been to the Baseball Hall of Fame in Cooperstown, Fenway Park, Yankee Stadium and that’s how much of a tragic I am. There’s nothing better to wear than a great pair of blue denim jeans. Not into fake, game playing people – don’t waste my time and yours. I take gratitude out of the small things in life and have given myself permission to stop and smell the roses. It took me some time to get to this point after a great many years of trying to control my future. You’ve made it past the first 10! Congratulations, you can pass “Go” and collect $200*. *$200 in Curtain credits that is. I’ll come up with a use for them eventually. Love word play, humour, rhyming poetry and punning. I have yet to inflict the blogging world with my schlocky rhyming poetry but you never know. Birthdays and Barmitzvahs are a specialty. I am drawn to quirkiness in people. It makes life and them far more interesting. I also like wise people. I admire anyone who is truly happy. That’s not because I’m unhappy. But happiness is the sweet success of life. I love scuba and snorkelling and water sports of any kind. The fish world is soothing and calming and most coordinate colour better than I do. I am the official refiller and roll changer in my house – mostly because all of the other inhabitants are male. My ambition is to write and am doing a writing course. I have only recently tried my hand at fiction and may explore that realm a little more. Zumba is a great way to exercise, have some fun and listen to some great latin beats. Congratulations! You’ve reached “Go” again. Your prize? Not having to read anymore! So having survived the orientation, here’s your ticket to ride. Welcome aboard the curtain raising bus! Like what you see? My email is chiefcurtainraiser@gmail.com. Thanks Sisyphus. Good luck with the Challenge! I love the image of raising the curtain on the second half of life. It’s frightening sometimes, isn’t it? We just get the first part down and then, wham!!! We are hit with what we want to do when we grow up. Thanks for posting. I look forward to reading more. You’re so right. It’s good to meet you. I have met a few wonderful second act ladies in the blogging community who are making their second acts count. I refuse to take it lying down! Thanks Wendy, I have just found out from your blog you’re a fellow Red Sox fan..woot :)! Looking forwarding to reading more of you too. Thanks for the neat summation…. and yes, I think I’ll take intrigued as a reaction :). It’s nice to mee you, AND to see that so many of my friends are your friends too! Hi Elyse, thanks for popping over to say hello. Commonality of friends is a great start! Thanks NOFTT! I am honoured both at the award and that you find me inspiring enough to keep reading and commenting. Of course! Very deserved. I was actually afraid you had already received it. 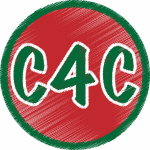 Keep up the great work and thanks for the follow! I can actually give you something better given you are a Sydneysider…. Free Parking :). I started reading and then I disconnected, and not because of your writing, but because of my attention span. What am I doing right now? Umm…eating a good roast or increasing your Klout score as a great influencer in juggling. It’s a toss up. Thanks for visiting my blog! I like your metaphor of raising the curtain and I am curious about what will eventually be revealed! Hi there – I’m so glad you stumbled upon my blog, and thank you for taking the trouble to comment. I love what I have read here so far, and I can’t wait to read more. Hi Emptying Nester, glad you came by and left a calling card on my blog. Looking forward to reading more of you also. Lets just say that the bit about the ‘several Mr Darcys’ just went and connected itself. What more need I say? Thank you for visiting my blog. But for your visit, I wouldn’t have found you. Hi there. I found you on Mimi’s ‘waiting for the karma truck’. You have a great blog. Hi and thanks for the follow. One day we will be able to say “we met at Mimi’s”. Eh, I obviously meant no. 17! That’s a relief that the problem is not just an Australian one :). And does this mean I get to yell bingo! Happy to talk rugby and cricket anytime, now that we have retained the Ashes ;). As for the rugby well….. Thanks for dropping in bulldog, much appreciated. Thanks for visiting huntmode and reading a little about me. Snorkelling is also a great relaxing sport and would be extremely good for those spent too much meditating. Listening to yourself breathing whilst watching the fish life is very, very soothing. The important thing is that least you tried scuba. I missed your response to this… I love snorkling, especially with a life vest so I can paddle to my heart’s content without getting tired. Grin. I see you like to snorkel and SCUBA. Me too, I LOVE it and go whenever I can. The water is not very clear close to me here but when I go on vacation, I’ll go. I love puns and wordplay too, do you read Piers Anthony? Thank for this wonderful comment. the best snorkelling I have ever done has been on the Great Barrier reef where visibility is amazing. Tahiti around Moorea is also wonderful. Locally where I live the visibility is generally not so good. I don’t read Piers Anthony, but maybe I should, He seems to have written plenty of books and recommendations where to start? try any of his land of Xanth novels if you like puns and wordplay, they’re all good. I also liked his “Incarnations” series about ‘death’, ‘love’, ‘war’, etc. Judy, I came to give you good tidings. I have awarded you the Sunshine Award. Please feel free to accept and play; accept and do not play; just know I was thinking of you. Thanks for the tips. I’ll keep a look out for them. I saw your comment on Sammy D’s blog and hopped right over. 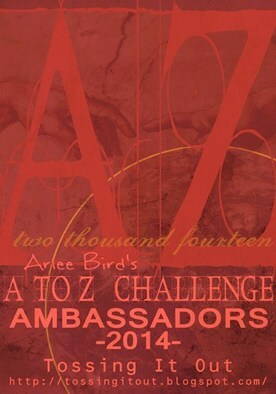 I’m sorry that I just now found your blog, after the A to Z, but better late than never. I am now your newest follower. Great posts and excellent theme for your blog. Thanks so much Debi. 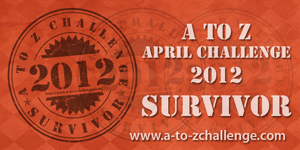 Just swung by your blog, what an amazing Challenge effort. One word, 3 or 4 different genres per day! That’s writing stamina and talent right there. Looking forward to getting to know you through your posts. Thanks Vlad, glad you enjoyed it. I wish you all the best too!